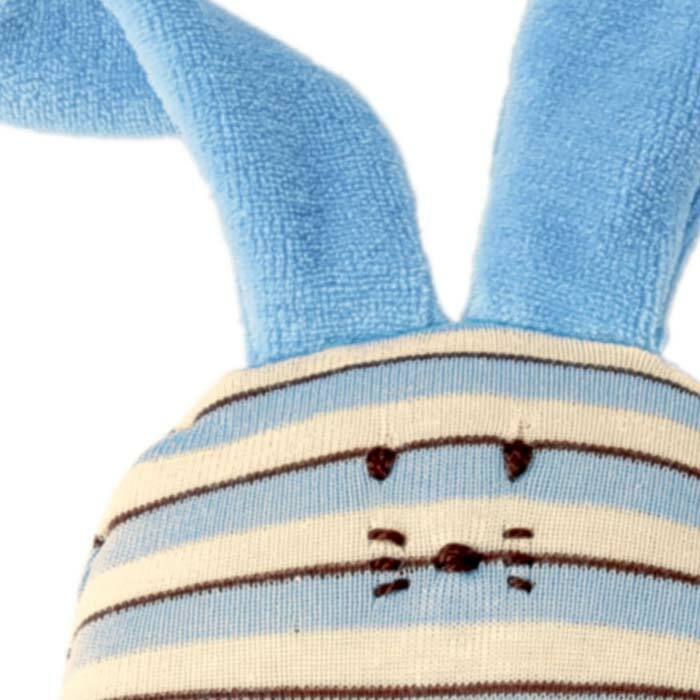 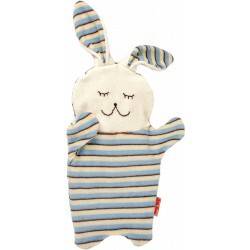 The organic blue striped bunny features an internal rattle, floppy blue ears, a hand stitched face, and is made from soft cotton fabric stuffed with wool. 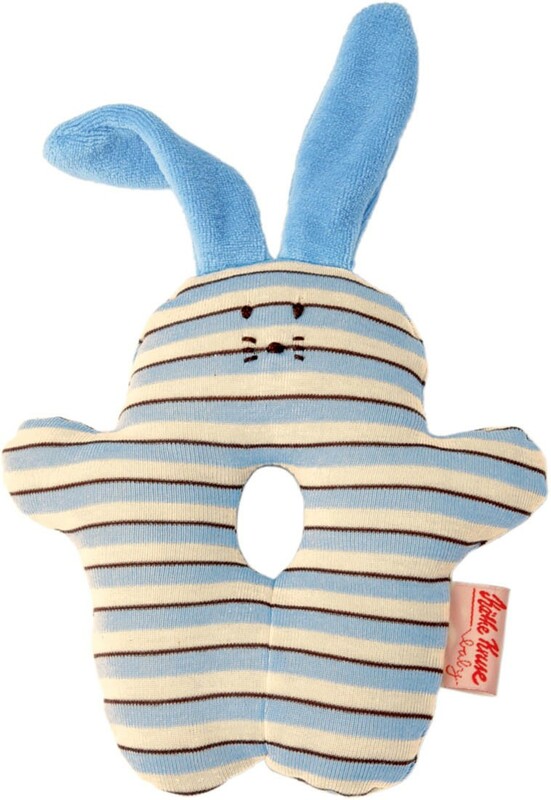 Learning to look and grasp is essential for healthy development of your baby and the rattle not only awakens curiosity but encourages play. 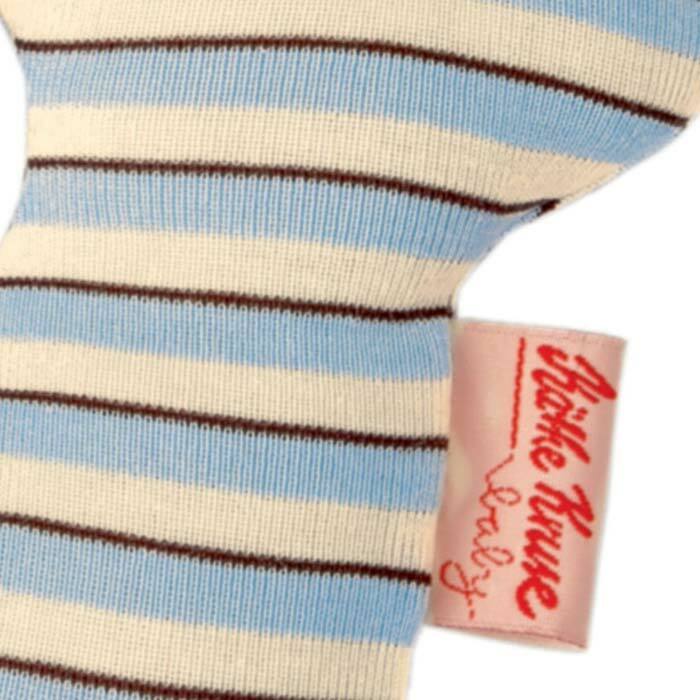 100 % organic materials from biologically controlled farms.